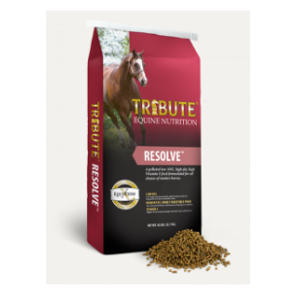 A high-fat, low sugar/starch pelleted feed formulated for mature horses at maintenance or in training. Low sugar/starch levels ideal for horses that are hyperactive or have special needs. Higher fat, highly digestible fiber for calmer performances without loss of energy or condition. Higher levels of Vitamin E to help manage muscular issues and diseases.